Forget Flowers, Chocolate Bouquet Is The Way To Bae’s Heart This V-Day! Say goodbye to flowers, because they die! So time to up the game a little and invest in gifts that both the giver and receiver are surely gonna love. 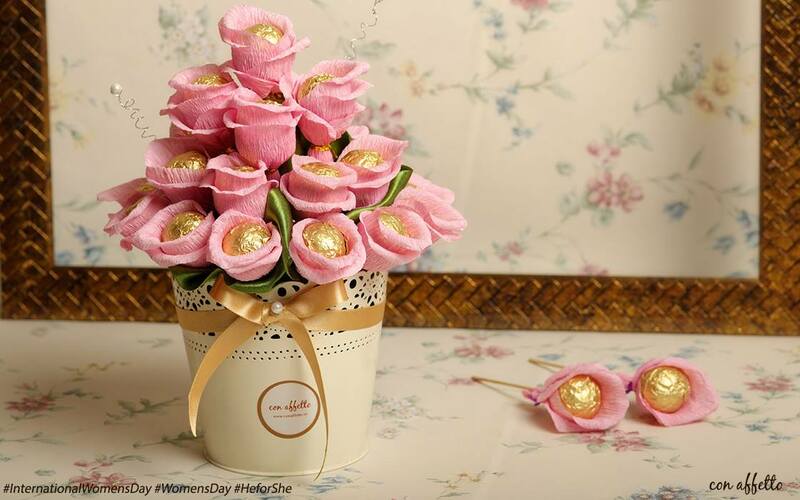 Con Affetto has come up with this awesome sweet bouquet of goodies that your SO will totally love you for! 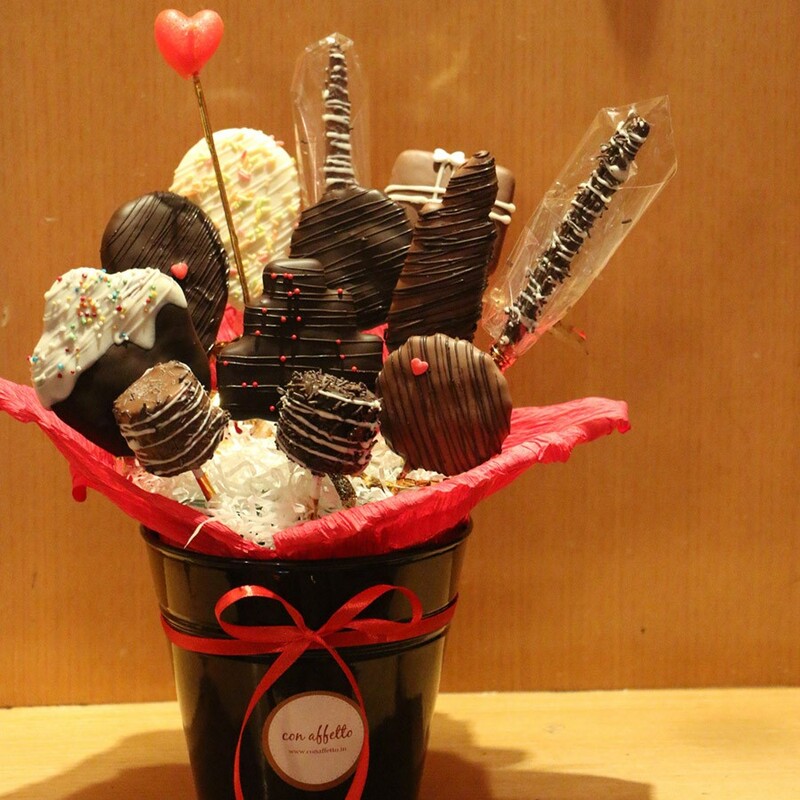 This one of a kind bouquet has 8 Vanilla Butter Cookies dipped in chocolate, 4 Chocolate Coated and Nutted Pretzel Sticks, 2 Chocolate Dipped and Sprinkled Marshmallows and all of this in a beautiful golden bucket with a candle and customised gift card! Not only this, they’ve got a variety of other options available for bouquets laden with goodies like cupcakes, cake pops and cookies to chocolate truffles decorated as per the occasion. AWESOME! Go check ‘em out peeps, V-Day is just around the corner! This Place In Gurgaon Serves 17 Types Of Delicious Biryanis!